Bring a countryside touch to your menu with Spring Glen Fresh Foods 5 lb. cream chipped beef! 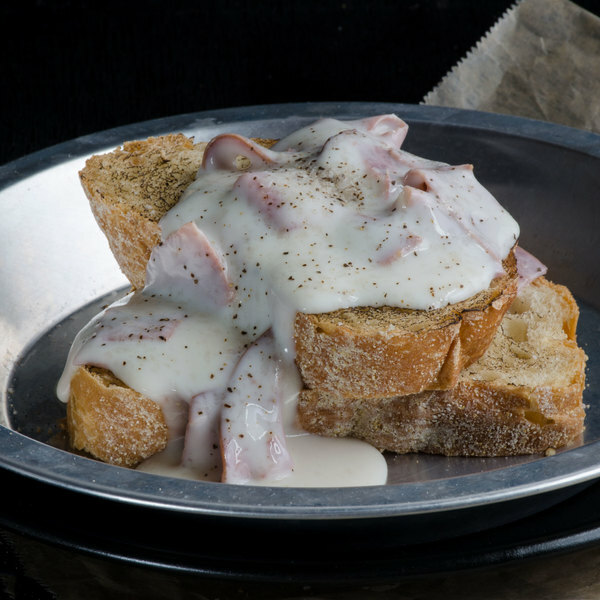 This cream chipped beef is made with a balanced combination of thinly-sliced pieces of dried beef and a creamy blend of milk, butter, and flour. The dried beef is salted and pressed for added flavor and texture, and the cream sauce is thickened to the perfect consistency. 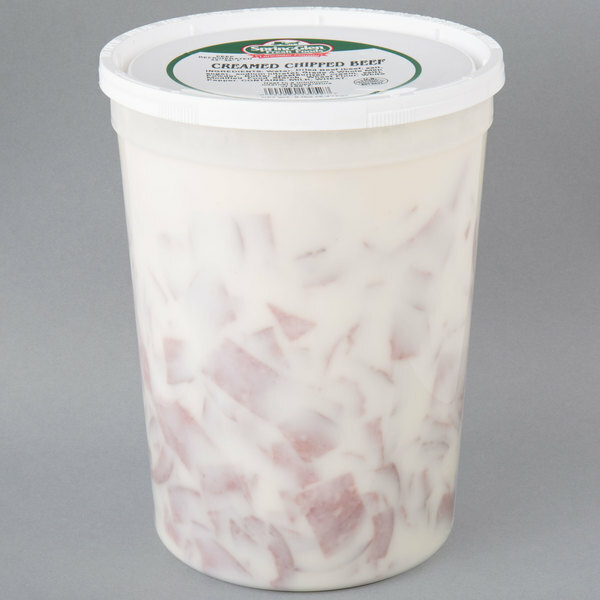 With this cream chipped beef, you'll be able to offer your guests the taste they want, without spending hours preparing the mix from scratch. It's perfect for your diner, assisted living facility, restaurant, or cafe. Layer it onto toast and biscuits for a traditional S.O.S. breakfast dish, or use it to top off baked potatoes as a signature side.